I love the cover, it's so striking. The Fire Sermon was really 'on this hand, on the other hand' for me. There were some things that I really loved, and there were others that I could not let go of, that bugged the heck out of me. As a read, when I ignored the few big detail things that bugged me, I thought this was a really entertaining book. There's high stakes, high tension, lots of emotion, lots of movement and action. There are some awesome twists and turns in the plot. I cried, I laughed, I shook my fist. Lots of good stuff. I don't want to be too specific because it would be far too easy to be spoilery. I didn't love the framing device at the beginning that has us starting with Cass being captured and then goes back in time to tell us about her childhood and the history between her and Zach, but fortunately it doesn't last long. I loved the idea of the island of Omegas, and the recurring theme that sometimes an idea is enough to spark change. The Fire Sermon has some fantastic things going on in it. 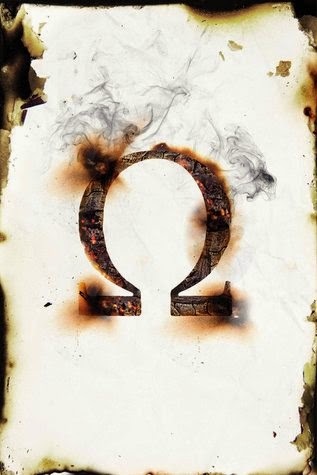 The difficulty that I had with The Fire Sermon is I just could not accept the Alpha-Omega premise. Normally I have no problem suspending disbelief, but something about them just drove me crazy. Why would it happen that people who start giving birth only two twins and that one would be strong and the other 'mutated' (which manifests as various physical disabilities - missing limbs, eyes, and so on)? And why would they have a connection that goes beyond birth to death? And why would the stronger Alphas turn on their siblings - who are still perfectly capable of survival in a harsh new climate? I just... I couldn't understand the development of the culture at all. It was so frustrating. The other bit that frustrated me was the development of a hint of a love triangle. While Cass is clearly paired with one gentleman in this book, another kind of hovers off on the sidelines. Frankly, Guy 2's interest comes out of left field for me. What is it about this girl that's so instantly charming? There wasn't enough development before the interest for it to be anything other than an uncomfortable and too-convenient form of insta-love. The Fire Sermon is just shy of the book I hoped it would be. It's got some great plot swerves, a collection of interesting characters, and some fantastic emotional highs and lows. Unfortunately, it also relies on a concept that I couldn't get on board with, and that really colored my overall impression of the book.